Micro silicon powder is a good material with broad application prospects in the field of high and new technology at home and abroad. It can be widely used in chemical industry, metallurgy and other industries. For which can improve the performance of cement or concrete or cement concrete, preparation of high, high strength, wear resistance, erosion resistance, corrosion resistance, anti permeability and frost resistance, early strength of concrete or cement composite construction, to meet the special requirements of oil well cementing, offshore oil drilling platform, harbor wharf, railway highway bridge, airport runways tunnel and city high-rise building engineering; for the rubber elongation, tear resistance and tensile strength of rubber; for refractories and ceramic products, effectively improve the strength and durability of the products. 1, micro silica fine particles, water demand is high, in the concrete mix micro silica fume and superplasticizer must be used to ensure good results. 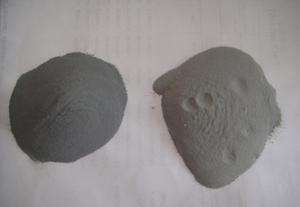 2.There are two methods micro silica fume mixing in concrete: outer admixture and inner admixture. As the content of cement is reduced by the method of mixing, it is generally used for low labeling, and the high standard number is used in addition. 3. The content of silica powder in concrete should not be too high or too low. It is generally in 5%-10%, and the quality of concrete is the best in this range. That is to say, not only the role of micro silica powder instead of cement is the best, but also all kinds of excellent properties can be brought into full play, and the adverse effects can be avoided. For example, if the dosage is greater than 15%, the frost resistance of commercial concrete will be reduced. 4. Because of the large viscosity of the micro silica concrete, it must be larger than the ordinary concrete in the design of concrete slump, and the strength of the concrete must be the same as that of the ordinary concrete. 5, the end of the concrete before the end of the end of the concrete should be two times, the best to cover after the pressure, water evaporation too fast to cause surface thread. 6, 2-4 hours after final coagulation, the concrete must be moisturizing and curing to prevent concrete from producing plastic shrinkage cracks.